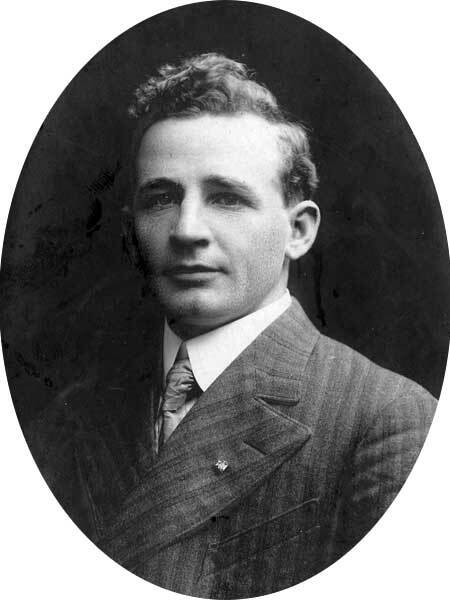 Born at Shelley on 28 November 1878, son of John Molloy (a Dominion Land Surveyor on early construction of the Canadian Pacific Railway) and Mary Daly, brother of John Patrick Molloy and William Molloy, he was educated at the Emerson School and the Winnipeg Normal School. In his youth, he assisted his father in surveying the eastern portion of Manitoba and later worked in railroad contracting. On 11 January 1911, he married Maria Dubuc (1883-? ), daughter of Joseph Dubuc, of Winnipeg. They had three children: Bernard Molloy, Wilfred Molloy, and Marie Molloy. The family lived at 129 Furby Street, Winnipeg. He was elected to the Manitoba Legislature at the 1914 general election, and served until dissolution of the session, being defeated in the 1915 general election by Albert Prefontaine. He then served as Reeve for the Rural Municipality of Ste. Anne from 1919 to 1921. He ran in the 1921 federal general election, 1927 provincial general election, and 1935 federal general election but was defeated each time. He died at his home in Montreal, Quebec on 20 June 1948 and was buried in St. Mary’s Cemetery. “Thomas B. Molloy, former M.L.A., dies in Montreal,” Winnipeg Free Press, 21 June 1948, page 4. “Thomas B. Molloy service Monday,” Winnipeg Free Press, 26 June 1948, page 20.